Our expert team of pundits and presenters have compiled a list of horses for the 2019 Flat season. Simply click on the horse’s name and then the binocular icon. You can keep track of your horses via the tracker page. This time last year our presenters and pundits picked out some beauties to follow on the Flat which accumalated to a whopping 22 wins in total. 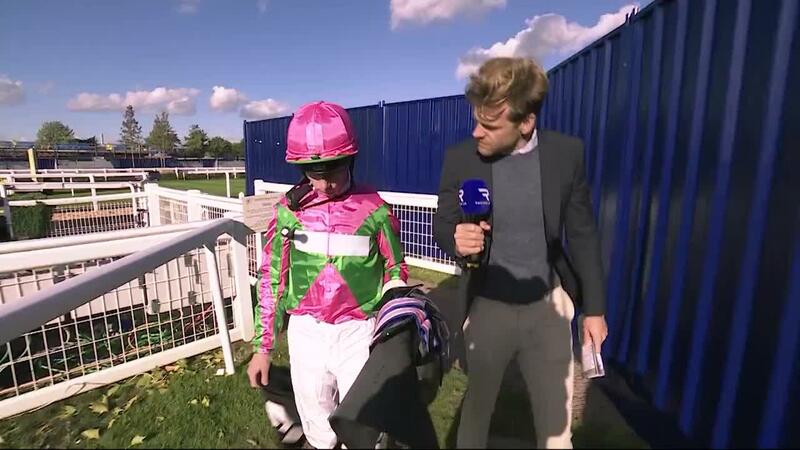 Special mention goes to Kate Sigsworth for selecting Bolder Bob, who went in twice at 9-1 and 16-1; Shelley Birkett for picking out Consequences, who delivefred at 12-1; James Willoughby for highlighting dual winner Baghdad, including a success at 9-1, Rachel Casey for 7-1 winner Wells Farhh Go, and Steve Jones for top-class three-time winner Crystal Ocean. Here is a list of horses to add to your Racing TV tracker ahead of the 2019 flat season. This son of Dubawi put up a good performance to win impressively first time out at Nottingham in November. He beat a smart one of John Gosden’s, Private Secretary, and I am looking forward to seeing this exciting prospect in action for Godolphin. I think he has bags of potential and looks a very classy horse in the making. When one of the north’s shrewdest dual-purpose trainers tells you he’s looking forward to any horse in particular you immediately sit up and take notice. With a BHA rating of 63 – down 3lb from his handicap debut staged in unsuitably soft conditions at Nottingham in October – My Little Orphan has bags of scope for improvement from a lowly starting point. He’s from a family packed with stamina but Iain assures me that a truly-run seven furlongs on good ground should be right up this three-year-old’s street. She was very impressive in two all-weather victories this winter including a track record-breaking performance (under a 7lbs penalty versus boys) at Lingfield over six furlongs. This Juddmonte-homebred daughter of Dark Angel could easily prove better on turf than she has already shown on Polytrack and I’d be surprised if she isn’t a Group horse in the making. I won the Horris Hill on him at Newbury in the autumn. He won very easily and is horse that will improve from two to three. He will most likely run in a 2,000 Guineas trial in the spring and is definitely a horse to follow. Hello Youmzain achieved plenty in just three starts as a juvenile, but everything from his rangy physique, the stamina on his dam’s side and the way he was seeing out his races over sprint trips points to him being even better when tackling seven furlongs and beyond as a three-year-old. A big, strong son of More Than Ready who has the look of an old-fashioned dirt horse. He may not have beaten much when making a winning debut over a mile on the Polytrack at Kempton in early February, but the manner of his victory was really taking. Could easily be the type of horse current connections sell on for a decent profit (he only cost £50,000 as a yearling) to continue his career in the US, but they could have a lot of fun with him over here in the short term. Antagonize is two from two in a very short career to date. There was a real buzz post-race when winning at Newcastle on debut in June before he quickened twice in a race at Redcar to maintain his unbeaten record. Off since last July to allow the horse time to develop, Bryan Smart has revealed the horse won’t be rushed, “he’s a big horse who has wintered well”. Very highly rated by connections and the plan may well be to head to one of the classic trials in the spring. No doubt Too Darn Hot and Quorto are his superior as things stand, but I wouldn’t be amazed if Persian King – conqueror of subsequent Vertem Futurity winner Magna Grecia in the Autumn Stakes – ends up just as good. He is a gorgeous-looking model by super-sire Kingman, with a long, easy stride and pace to burn. Madhmoon was impressive in winning his maiden over a mile at Leopardstown last August, and he stepped forward from that next time when he landed the Group 2 KPMG Champions Juvenile Stakes back over the same course and distance on Irish Champions’ Weekend in September. Kevin Prendergast’s horse showed an impressive turn of foot that day to come two and a half lengths clear of his closest pursuer Broome. He could be a Guineas horse, and he has the potential to take his place among the top three-year-old milers this season. He looked to be a colt of immense promise last season when winning at Newmarket and Doncaster and then finished fourth in a red-hot Dewhurst at Newmarket. This son of Kingman is a big rangy individual who looked raw and green in all of his starts last year. The 2,000 Guineas may be beyond him in what could be a very strong year, but he will stay a mile and with so much latent potential is sure to be well placed by his trainer. I see him as being a similar type to the 2018 Jersey Stakes winner Expert Eye, also trained by Sir Michael, who found the Dewhurst all too much as a juvenile but came good as his career progressed. The winner of a one-mile novice auction contest at York on his final start as a juvenile, the scopey Sam Cooke is bred to come into his own over middle distances as a threeyear-old. Starting off from a very workable mark of 85, he should more than pay his way in handicaps. A half-brother to Taws (runner-up in Queen Alexandra) and Duke of Bronte, he shaped nicely in his three starts at two and is from a family that my dad knows well. He should improve plenty with time and experience. He could be a very progressive three-year-old. She is held in the very highest regard and Michael Dods’s classy filly benefited from stepping up to six furlongs when landing a Newcastle novice in November. 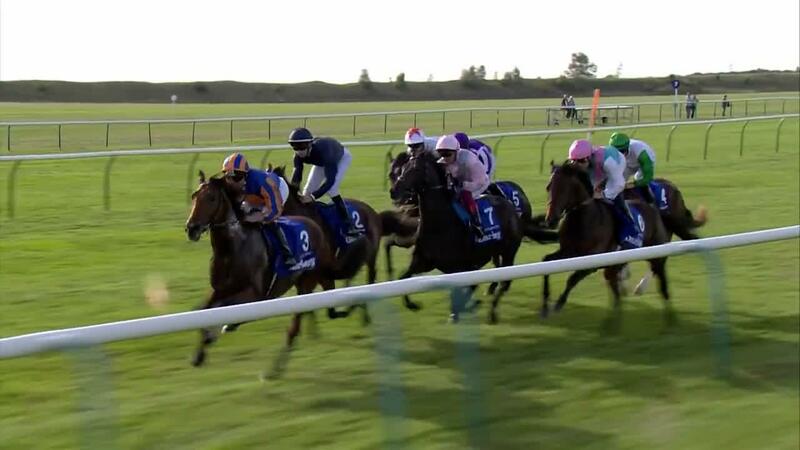 Taken to post early, she raced prominently and although edging left when shaken up, was well on top at the line. The speedy daughter of Mayson had been very strongly fancied in a similar race over the minimum trip on her only previous start. She finished a close fourth but is forgiven as the action unfolded away from her and is very exciting. I have no inside knowledge of this once-raced John Best runner but the promise of his Lingfield debut over Christmas was there for all to see. Described as slowly into stride and late headway he looked a classic improver to me. He went off at 25/1 but in actual fact was supported in the market just before the off, so he’s clearly thought to have talent. His sire, Xtension, was fourth in the Guineas and then a dual G1 winner in Hong Kong. Unfortunately, the owner has been declared insolvent, but hopefully Elmejor will stay with John and be a good mile to 10f handicapper by the summer. This lightly-raced gelding reminds me of his half-brother Quick Jack. He was unlucky not to add to his 20/1 maiden win last year - most notably when suffering a shocking trip at Galway. That festival is a likely target once more, and he could even make up into an Ebor contender. A €270,000 colt, related to the Group winner Universal, he was well backed on debut at Newbury in October but did too much in the early part of the race and ultimately dropped away in the closing stages. Bred for ten furlongs-plus, he should win a maiden before going onto better class contests. The son of Dawn Approach made an impressive racecourse debut in a typically hot Leopardstown maiden in August beating Sydney Opera House by two-and-three-quarter lengths and followed up by winning a Group 2 in Leopardstown on Champions weekend. He beat subsequent Prix Jean Luc Lagardere runner-up Broome by two and a half lengths that day. He ended his juvenile campaign as third-highest rated colt in Ireland (115). He’s a beautiful individual with plenty of size and scope and has reportedly wintered very well. I’d be disappointed if he doesn’t make up into a Group 1-winner between a mile and 10 furlongs. After two impressive but contrasting wins, the son of Kingman found his Dewhurst rivals too hot to handle. However, he did travel smoothly until losing his way out of the dip suggesting there will be better days ahead and there is no one better to manage him than his trainer. He remains a maiden after six starts but has been placed on four occasions filling the runner-up spot three times. He starts out this year off a mark of 87 and as a gelding. He’s a horse who has always shown us a lot at home so I’m hoping he can transfer his homework on to the track this year. This brother to Postponed’s form took off in nurseries last autumn and he appeals as very much the type to go on to better things for new trainer David Simcock in 2019. He’ll stay at least ten furlongs. A €400,000 Arqana Breeze Up from Brendan Holland’s excellent Grove Stud. She is the first foal out of the two-tear-old-winning and two-time Listed-placed Ninas Terz, who is a halfsister to the talented and quirky, in equal measure, Pakistan Star. She won her sole start as a juvenile over seven furlongs at Newbury in Class 2 company when beating the useful Roxy Art. She’s bred to need further and ran on really well that day. Under the able care of Roger Charlton and with an Irish 1,000 Guineas entry; she is bred to be well above average and looks very interesting going into the season. A winner on her sole start last season at Newbury, it was in the style of a talented filly and interesting she had a Rockfel entry at the time. A €400,000 Breeze Up purchase, she beat a filly in second and one in fourth who had experience and the consensus from connections was that she’s well regarded. This daughter of Sea The Stars should get further and is hopefully in for a progressive season. This 1.3million son of Galileo gave his trainer an incredible eighth consecutive success in the Group 2 Beresford Stakes at Naas last autumn and it would be no surprise to see him become a chief contender for the Investec Derby this summer. Once extricated from a pocket at the two-furlong pole, Japan picked up in pleasing style under Seamie Heffernan to collar his more fancied stablemate Mount Everest in the dying strides. Middle distances should be the catalyst for further improvement this season. Two-Year-Old Trophy heroine Summer Daydream will lead Keith Dalgleish’s squad into battle, but the upwardly-mobile South Lanarkshire handler has another smart prospect on his hands in Boston George. Fifth on debut in what’s traditionally a strong maiden at the Ebor Festival, the Convivial, this son of Raven’s Pass again displayed signs of greenness when breaking his duck next time out at Newcastle. Group 1 entries in both the Middle Park and Futurity Stakes suggested he’s long been held in high regard and, even if he doesn’t prove up to those lofty expectations, this promising sort looks certain to repay his bargain $7,000 price tag several times over. Dubai Warrior has massive talent. He won a Chelmsford maiden in November by more than four lengths, with sectional analysis suggesting he was worth twice that at least. The form has worked out well, he is in the hands of a master and middle distances will suit him very well. He must be followed. Watch all the best action live in stunning HD on Racing TV. Not yet a member? Click here to join.